If you are a current investor or authorized user and need assistance, please contact our Investor Relations team. We manage multiple funds which focus on internet domain names and other forms of web properties as separate asset classes. Please send all investor relations fund enquiries through our IR form on our investor relations page. Interested persons who contemplate opening a managed account should request a copy of the SiteMatrix Disclosure Document. Those considering an investment in a SiteMatrix Fund should request a copy of that fund’s offering documents. Also, please note that investment in assets traded by the SiteMatrix Funds involve significant risk. Furthermore, past performance does not guarantee future results. Our CEO has 17 years of internet investing experience, navigating through a myriad of financial crises and market cycles. Our people offer significant individual accountability and alignment with client interests. We are always looking for talented software engineers, programmers and developers. To learn more and become part of the team, reach out to us. We currently have a job opening for a chief financial officer. Candidates with significant experience should contact us. We have sales positions open up and down the ladder. Hungry, motivated and experienced individuals should contact us. We seek to achieve superior returns through fundamental analysis and selection which emphasizes capital preservation by focusing on cash-flow generating assets. Traditionally, investors would purchase stocks or bonds with the expectation of a rise in value. Traditional asset managers would be evaluated on the relative performance of the portfolios. For example, they would be judged on the performance of the portfolio as compared to the S&P 500 index. Thus, a manager who outperformed the index but still lost money, would look like a hero. With alternative investments, managers attempt to generate an absolute return, independent of the direction of any market or index. It’s the profit and the returns that matter. The SiteMatrix funds focus on a small number of investment strategies, primarily private equity investments involving domain names and other forms of web properties. 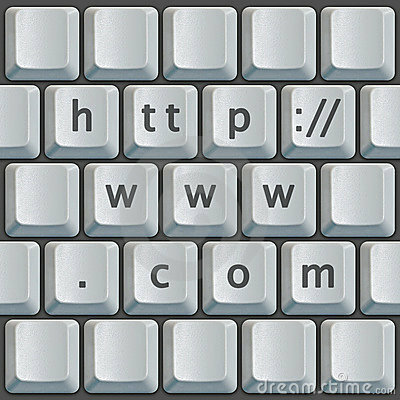 Existing SiteMatrix funds center around internet domain names. Future funds will involve other forms of web properties. Domains are acquired through a variety of proprietary strategies which include traditional venues such as auctions and expired domains as well as statistical analysis and big data harvesting techniques designed to exploit opportunities which previously may not have existed. We leverage technology to identify, select, prioritize, classify and track the performance of assets. We automate where we can but put tremendous value in the human element. We feel its best to utilize technology to make the analyzation more efficient and accurate and leave the bulk of the decisions resting upon the shoulders of trained and experienced employees. The promotion of private equity funds is restricted in some jurisdictions. In the United Kingdom, this is dependent on the net worth and level of investment experience the individual or company has. Investors in the United States must meet the criteria to be accredited and qualified investors. If you are interested in receiving information about our funds, please send an email to the address below. Upon receipt, we will send you a short questionnaire to enable us to assess whether we are permitted to provide you with further information. Thank you for your interest in SiteMatrix. Our people, our methods and our technology are our competitive advantage.